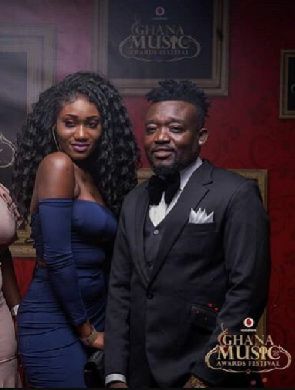 The CEO of RuffTown Records, Ricky Nana Agyemang, popularly known as Bullet has finally revealed why he was quick to replace the late Ebony Reigns with Wendy Shay. Bullet was heavily criticized by many Ghanaians when he announced his new artiste, Wendy Shay just some few days after Ebony’s burial. He has since been the ‘toast’ of many social media users and even some artistes whosaid it was too early for him to replace Ebony. But Bullet has finally revealed why he recruited another artiste or replaced Ebony that early in an interview with Dr. Pounds on Hitz Gallery on Accra based radio station Hitz Fm. According to him, it is a Ghanaian mentality to say he replaced Ebony or was too quick to recruit another artiste because he’s a business man. He further stated that, no business entity closes down for losing an employee. “it is a Ghanaian mentality. It’s business. Dr pounds if something should happen to you or a presenter at Hitz fm , Multimedia is not going to close down. KABA was at Multimedia, he died and Multimedia is still working. Rufftown Records is a business. I am doing business, people should rather say Bullet did well after all he went through; all the sufferings ,bashings. He is on his feet trying to push other young talented artistes. Ghanaians should look at the positive side of it. I can wait for Ebony 100 years and Ebony is not going to come back. Music must go on, work must go on and people are saying I should wait ?,” he said.